Professor Brigitte Girard is a specialized ophthalmologist located in Paris, famous in dystonia and blepharospasm. 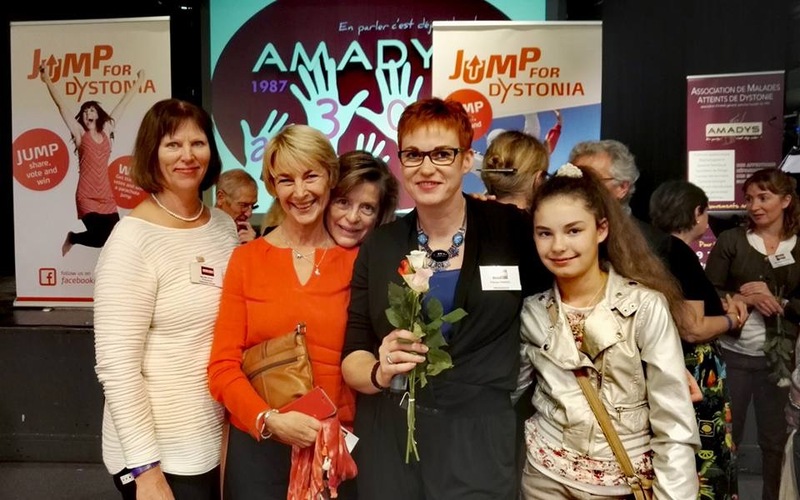 She’s the Vice-President of AMADYS (French dystonia association) Scientific Committee for many years. She’s so dedicated to her patients and her field of work that she has decided to write a book on blepharospasm during her spare time and holidays! Her book reaches different goals: to raise awareness of blepharospasm, the second largest form of dystonia; to help doctors to identify this rare disease and reduce misdiagnosis; to support patients when they need to explain their symptoms or when they feel alone or misunderstood. “Lifting the Lid” was first published in French (“Mots pour Maux”) in September 2017, for the AMADYS 30th anniversary celebration. It was published in English just in time for the Dystonia Europe 25 year anniversary this year. It will be available for free for the members of Dystonia Europe. We look forward to see translations in other languages as well as audio recordings. We thank Prof Girard for this huge work and Merz for their full support for this project. To order the book, contact your national dystonia member organization or Dystonia Euorpe at: sec@dystonia-europe.org. We hope you will enjoy the book! Don’t hesitate to order some copies and participate in raising awareness on blepharospasm!